Jayne Rush Hairdressing Salons in Boston, established in 1986, have built a fantastic reputation in the Hair and Beauty industry, and are recognised as one of Lincolnshire's most inspirational and expert hair design teams. For 26 years, our founder Jayne Rush has been passing on her knowledge and expertise to many of Lincolnshire's Award Winning Young Stylists. So when you visit either of our Hairdressing Salons you can be confident that you are in the hands of a highly proficient specialist. Our aim will be to ensure that when you leave you will look and feel fabulous. Our mantra at both Boston and Kirton Salons is to deliver, to all our clients, the highest level of quality service and treatments, and very competitive prices, so you can be sure that when you leave, you will always look fantastic, and feel fabulous. The aim of all our staff will be to ensure that when you visit our Salons, a very warm welcome awaits you. 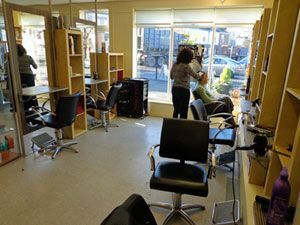 Offers a complete Range of Hairdressing services are available in our Boston Salon for both Ladies and Gentlemen including Wet and Dry Cuts, Restyling, Shampoo and Set, Temporary and Permanent Colouring, Perms. We also provide Cutting and styling for Children of all ages. 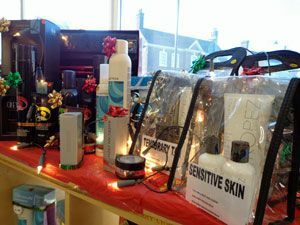 Our Kirton Salon was opened in 2001, and immediately caused great excitement amongst the local community. They embraced this new facility and it has continued to gain popularity week after week. We are now celebrating three years of success with this additional facility, our decision to expand the range of services available has proven to be a revelation. Our fully qualified Therapist Amie Hayward possess a wide range of skills, not only to bring out the very best in our clients image with make up and nails as well as spray tanning, but is also able to assist them with muscular and therapeutic massage, and helping them to feel better. We are sure that you will not be disappointed with our services, so to make a booking, get in touch with us today on the number at the top of the page. You can also fill in the contact form with your details and query or choose to book directly with us online. We hope you will find our site informative and worthwhile simply click on the Service you require at the top of this page and you should find all the information you require, we hope you will enjoy your visit, and we look forward to serving you in the very near future.